Art Curtain open. Enter Girl who looks about her and runs off right, followed by two Chinamen, who are also followed by Policeman. Enter Beauty and Thief right. Thief So you're looking for a thrill, kid? Thief Why certainly a thrill. You ain't seen nuttin yet. I'll show you the life of a thief, the thrill of getting away with murder, the thrill of being chased by the bulls. The thrill of a gat spitting crimson in the dark. The thrill of a scream of terror. And patrol bell. The crash of a window and the cry "there he goes, there he goes" with the sound of pursuing police and the bulls coming nearer. Say kid how about a little opium? Thief What's the matter, cold feet? Beauty Lead me to it. Thief Somebody's coming. Get in that doorway and I'll join you later. Chinaman discovered asleep on Bench. Enter Policeman who looks at Chinaman, smiles and puts toy balloon in Chinaman's mouth and exits left. Business with balloon. Noise and whistle heard off right. Door slams. Enter Thief and Beauty. Beauty What a funny place. Thief Say kid, if you're caught here you'll have the thrill of your lifetime; you'll be a ruined woman. Beauty Ruined. Why where am I? Thief Why you're in the lowest dive in the City, where wrecks of humanity drug their brains with poisonous poppy. Thief It's a tough break, ain't it? Say kid, the machinery of the brain wasn't planted in the bean for nuttin, and if you'll stick by me kid, you'll dress better than any of these dames. Experience the thrill of a balmy imagination. Thief Take a few puffs - - - dream. Beauty I'll try anything once. Chinese talk to Thief. Beauty sits on couch. Does this guarantee me a round trip to China? Smokes pipe, drops pipe and falls asleep. Chinese talk and exit. Enter another Chinaman and girl. 1st Chinaman Alla Hic, Alla Hic. Chinese Apache Dance Cecile D'Andrea and Harry Walters. End of dance, Chinaman enters, sees a dead body, throws him over his shoulder and exits singing San Toy. End of Second Chorus the dream ship is shown. Beauty gets up from couch and comes down Centre. Close Art Curtains. Enter Groucho, Policeman, Chinaman and Thief. Groucho Officer, arrest that woman. [MK: Groucho You are going to be convicted of murder. Beauty What makes you so confident? Art Curtains Open into Court Room-scene. 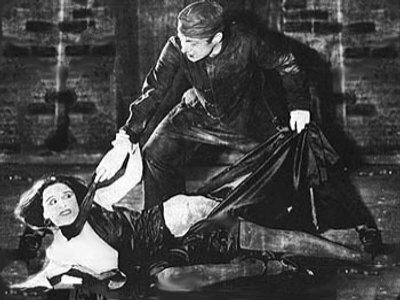 The Burglar Number in Scene 5 was - at least in later versions of the show - the song Break Into Your Heart , sung by Marcella Hardie, Edgar Gardiner, Burgler Girls and Street Gamins. An ad-lib Groucho made in this scene was saved for posterity in a review in Variety, May 28, 1924: "The dash of dramatics in the bit was lightened to a laugh when an underworld character with a gun appeared and Julius Marx said, "Go ahead, shoot; you're on Broadway". In the whirlwind and rather daring Chinese Apache Dance in Scene 6 by "White Girl" (Cecile D'Andrea) and "Hop Merchant" (Harry Walters), D'Andrea reputedly lost most of her clothes and the remaining photos have been retouched. When Groucho remembered the whole thing in the 1970s, he wasn't that impressed: "I don't remember who they were. It was a man and a woman, both lesbians." The Dream Ship in Scene 7 was recognized in the reviews as a "beautifully staged specialty" and was probably similar to the Love Barge from the 1922 show Up In the Clouds, written by the Johnstones and produced by Gaites (shown in a picture provided by Noah Diamond from the San Antonio Evening News, 25 January 1923).